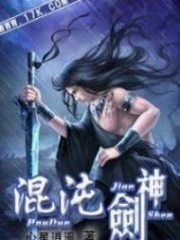 You’re reading novel Chaotic Sword God Chapter 358 - Saving the White Tiger online at LightNovelFree.com. Please use the follow button to get notification about the latest chapter next time when you visit LightNovelFree.com. Use F11 button to read novel in full-screen(PC only). Drop by anytime you want to read free – fast – latest novel. It’s great if you could leave a comment, share your opinion about the new chapters, new novel with others on the internet. We’ll do our best to bring you the finest, latest novel everyday. Enjoy! As she told her tale, Rum Guinness’ face revealed a sorrowful look as tears flowed from her eyes. “The end of your lifespan? Could you be injured beyond any sort of healing?” Jian Chen asked. “Then what if there was a Radiant Saint Master, would that help you recover.” Jian Chen stared at Rum Guinness with a focused gaze. “Why not let me try to see if I could help.” Jian Chen spoke seriously to Rum Guinness. Rum Guinness’ expression caused Jian Chen to feel some grievance as well, but he spoke no words. Slowly closing his eyes, he began to control the Radiant Saint Force in the world. Although he knew that he could not cure Rum Guinness’ injuries, he could at least give it a try. A milky white glow of light could be seen forming in between Jian Chen’s hands. With time, it quickly began to glow even more dazzling with a gentle but strong light that was comforting to look at. The rays of light that could be felt from this ball of light would make anyone feel happy. Rum Guinness grew startled as the grieved expression was squashed. Staring at Jian Chen, she spoke with shock, “You’re a Radiant Saint Master? Just… just how?” Rum Guinness had been wholly astounded by this sight. Jian Chen knew that the dark energy within Rum Guinness was far too strong, so he had spared no effort in trying to condense the Radiant Saint Force. Because of that, he wasn’t able to clearly hear what Rum Guinness had said. In another moment, the Radiant Saint Force had reached the best Jian Chen could manage. Extending his arms, the Radiant Saint Force ball slowly began to float toward Rum Guinness before engulfing her. The moment he heard that a Heaven Saint Master was on the way, Jian Chen’s face changed slightly. Although the white tiger in front of him could kill a Heaven Saint Master, her life would take a turn for the worse. With each movement she made, she would only harm herself even more. If she continued to exhaust her energy by fighting, then she wouldn’t have enough to seal the dark energy later on. “You needn’t worry. I can deal with the men outside, I’ve also the ability to shake off any Heaven Saint Master after me. Right now you should use my Radiant Saint Force in order to seal the dark energy within your body.” Jian Chen spoke staunchly before forming even more Radiant Saint Force for Rum Guinness to use to heal. “Human, why do you help me to this extent? I have already entrusted my child to you with no other wish. Right now I only wish to join my husband in the next world, he is alone there.” Rum Guinness’ eyes had tears in them as a small guttural sound could be heard from her throat. “You are a mother, that means you should take responsibility over your own child. Could it be that you wish for your child to grow without a mother or father? Do you not know the pain this would inflict on your child, this is something that cannot be fixed by any means. Thus, I will do all that I can to help you for the sake of your child. Or do you not wish to take revenge for your husband? Could it be that even after your husband was mercilessly killed by his elder brother, you will do nothing but to take it in silence? Or will you throw all your hopes of revenge onto your child to bear? Are you a mother or not, you are not thinking about your child.” Jian Chen spoke pa.s.sionately. By the time he reached the end of his rant, he had already began to growl slightly. He did not wish for Rum Guinness to die at all; that was because after listening to her tale, Jian Chen’s emotions had been affected so that he sympathized with her. Another reason Jian Chen had for her survival was that he truly did not wish for a being that could rival a Saint Ruler to die. Rum Guinness grew speechless at Jian Chen’s speech. With only the slightest of cries, Rum Guinness’ determination on dying here had been ultimately shaken by his words. 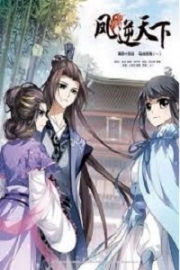 You're reading novel Chaotic Sword God Chapter 358 - Saving the White Tiger online at LightNovelFree.com. You can use the follow function to bookmark your favorite novel ( Only for registered users ). If you find any errors ( broken links, can't load photos, etc.. ), Please let us know so we can fix it as soon as possible. And when you start a conversation or debate about a certain topic with other people, please do not offend them just because you don't like their opinions. You're reading Chaotic Sword God Chapter 358 - Saving the White Tiger. This novel has been translated by Updating. 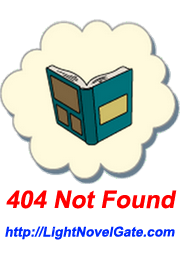 Author: Xin Xing Xiao Yao already has 11628 views. Current Time is Apr-23-2019 00:09:07 AM.